Several incidents of red spray-painted swastikas and other hate incidents have been reported in neighborhoods in Long Island, New York. 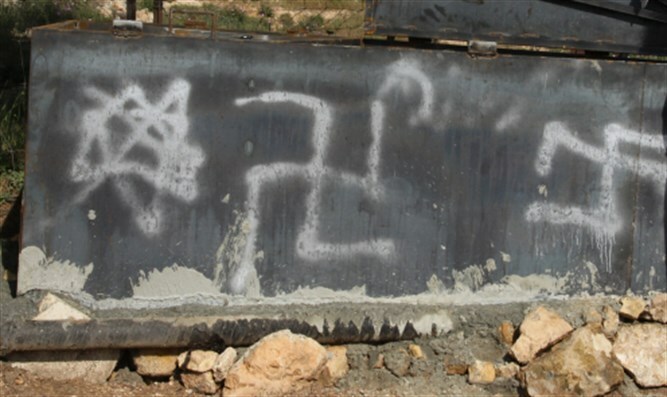 Several incidents of red spray-painted swastikas and other hate incidents have been reported in neighborhoods in Long Island, New York recently. Police are investigating the incidents that occurred throughout the neighborhoods through Dec. 16 as hate crimes, the New York Daily News reported. Among the places where the incidents occurred are the towns of Merrick and Mineola in Nassau County. The incidents include a sidewalk outside of a private home vandalized with multiple red swastikas and “Make America White Again”and swastikas and other anti-Semitic graffiti painted on a wall outside of a 7-Eleven in Merrick. In addition, several swastikas were discovered by a professor at the Nassau Community College campus in Garden City on Friday, on top of swastikas drawn in campus restrooms earlier this month as well as on three separate occasions in October. New York City police have reported a 400 percent increase in such incidents since the Nov. 8 presidential election.